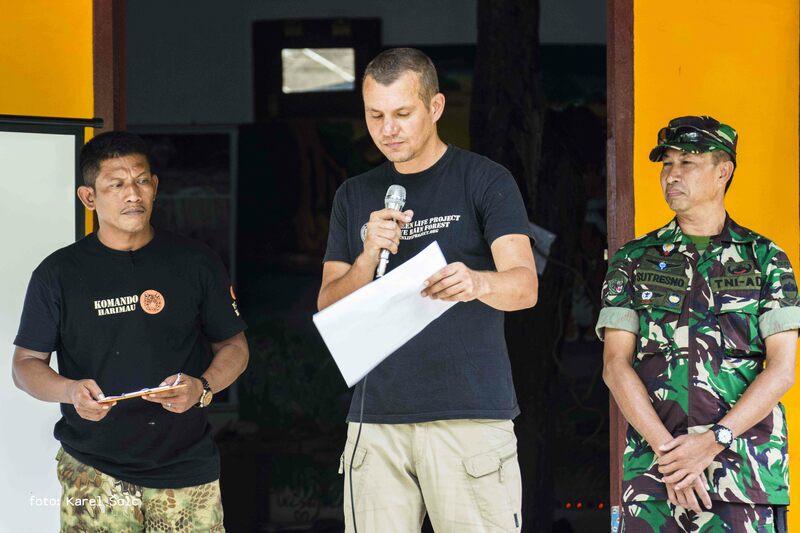 Under the agreement with the IRF, the Prales Dětem Club organized the World Ranger Day in July 31st, 2018 to commemorate the tragically deceased rangers and to promote the protection of wildlife including the importance of rangers and national parks, or reservations in the world. 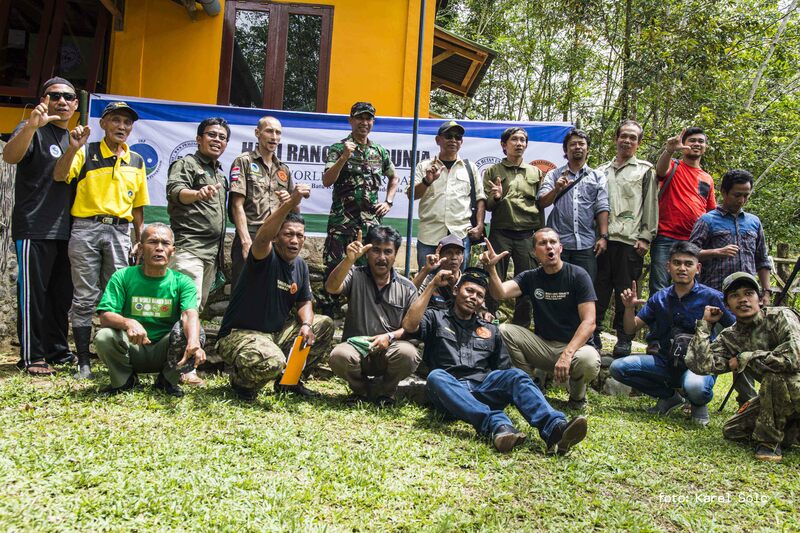 The place where the whole event should take place was the Tiger House, which is the base of the anti-poached patrol of the Tiger Commando, the office of the Prales Dětem Association and its partner Indonesian organization Yayasan Hutan Untuk Anak (hereafter YHUA). 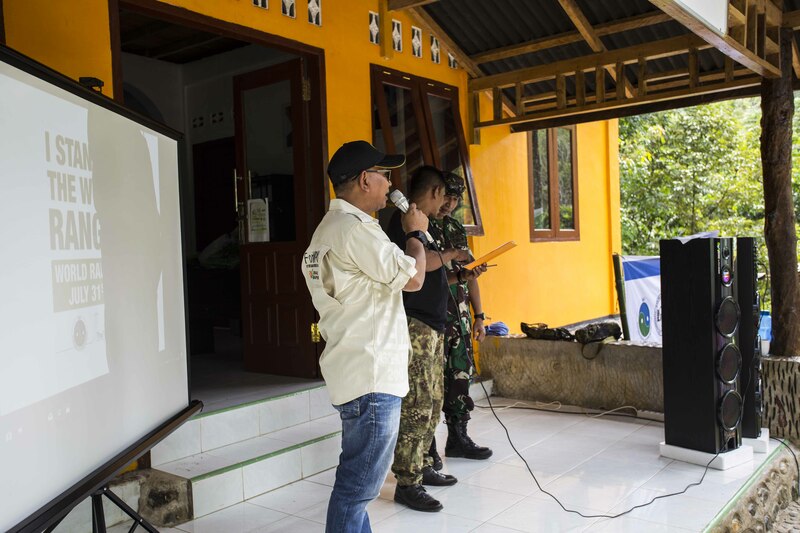 In April 11th 2018, this organization acquired the Smart Patrol government license, which authorizes the Tiger Patrol to perform watchkeeping for 3 years – monitoring activities in NP Gunung Leuser in Sumatra Utara Province. 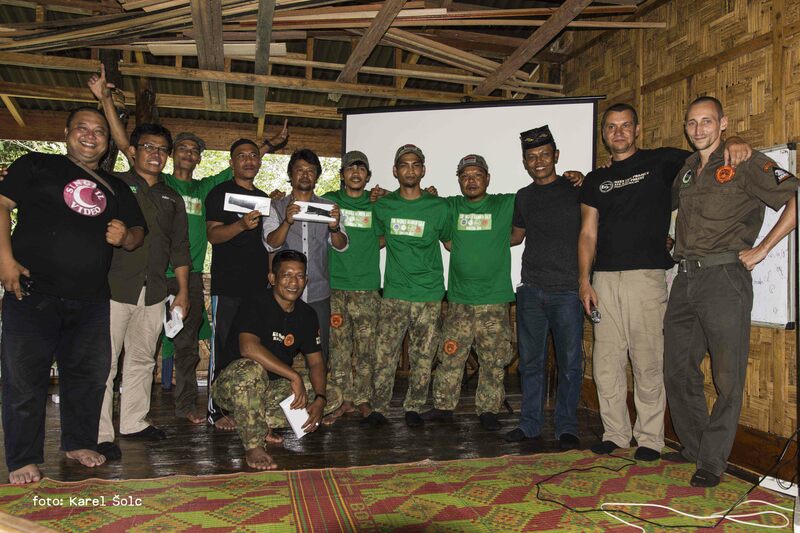 Because of the World Ranger Day, we had to prepare the Tiger House for this important day and three weeks we organized the whole event together with YHUA and the local Batu Katak community. 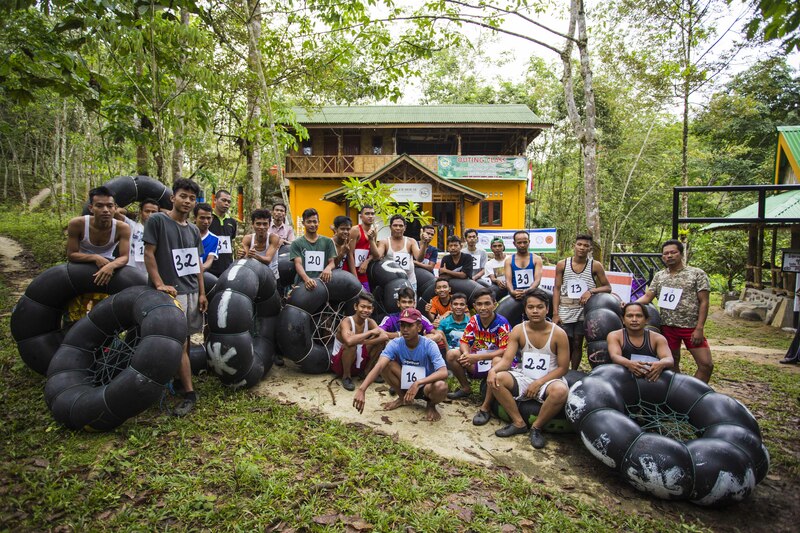 In July 31st 2018, at 8:00 am, the Tigers‘ House gathered 34 competitors who participated in the first Tubing Race Batu Katak 2018. Upon registration and reporting on the list of the start-ups they set out at 9:00 am on the track. It was a 1,5 kilometer run with an inflatable tyre on the back and then one kilometer back in the Berkail River. Each of the competitors won the T-shirt and the top three places were rated by 1 million Rupie, 500,000 IDRs and 300,000 IDRs. The whole event was greatly appreciated and thanks to this the all village knew about the World Ranger Day. 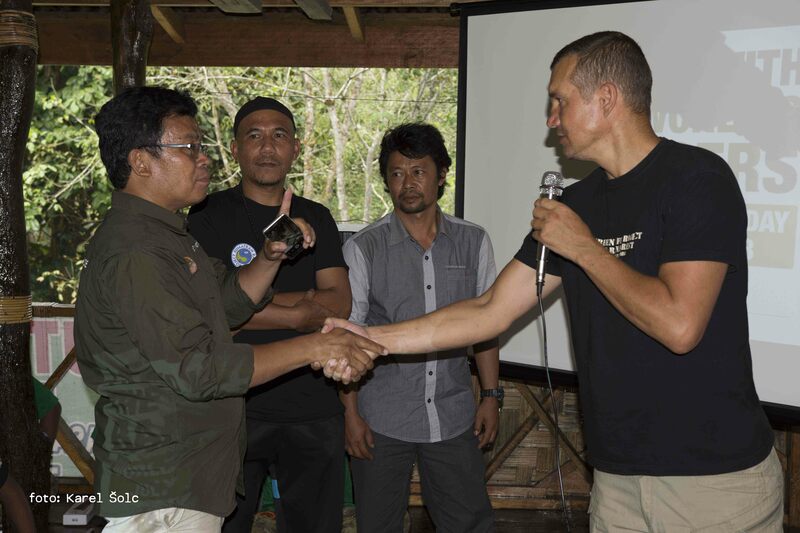 From 11:00 am, the World Ranger Day ceremony was launched with speeches by NP Rangers Gunung Leuser, in the presence of Mr Turnip – Chief of Section V – NPGL, Milan Jeglik spoke for the Prales Dětem Association, Ali Rusli spoke for YHUA and from other guests were spoken by representatives of the local community, the local political scene and the army. Two minutes of silence for the deceased rangers around the world was announced twice with highlighting of their mission for this world. A speech by the President of the IRF was projected then. From 12:30 pm, all guests, including the local community, were invited to lunch, which was prepared by women from the Batu Katak community. The whole lunch was vegetarian, as an expression of respect for the environment and animals. After lunch, there were cultural performances in the form of local traditional Karo dancers led by Mrs. Dona. From 14:00 pm there was a final presentation with an evaluation of the Tiger Command‘s activities, including the award of annual work. Three representatives of NP Gunung Leuser were also rewarded with their patronage for patrol and monitoring Smart Patrol. Part of the program was also an introduction to IRG activities and possible further cooperation. An important point of the program was the evaluation of the waste program in the village of Batu Katak with a reward for Mr. Samuel, who is the main coordinator of the program with the support of the Prales Dětem Association and YHUA. At 15:00 pm the event was finished with a film about wildlife and animals with the final words of Milan Jeglik and Ali Rusli. More than 30 people from YHUA, the Prales Dětem Club, volunteers and the local community were participated in the organization of the event. 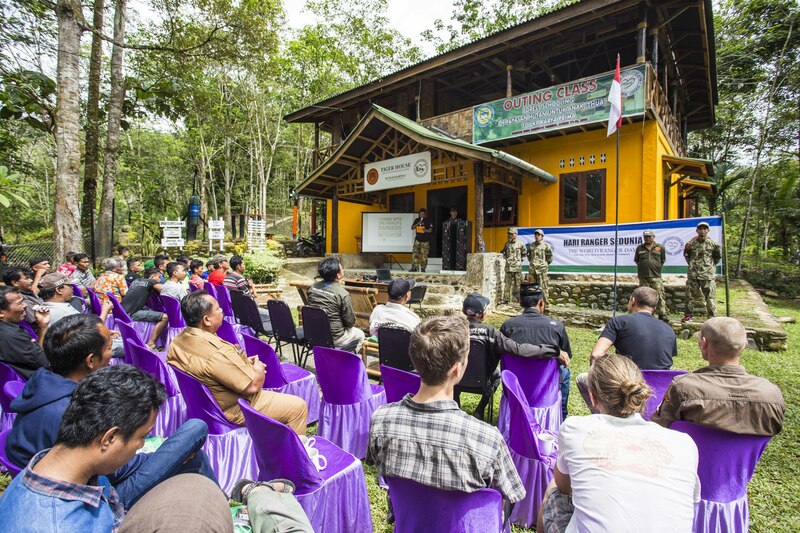 World Ranger Day was extremely successful, it honored the memory of deceased rangers all over the world and promoted the importance of protecting national parks, including the meritorious work of rangers and environmentalist. 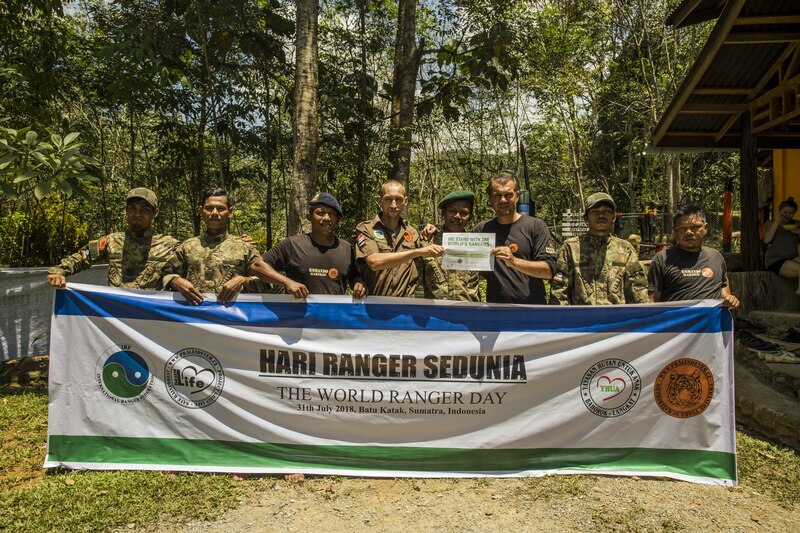 About 100 guests took part in the World Ranger Day in Batu Katak. 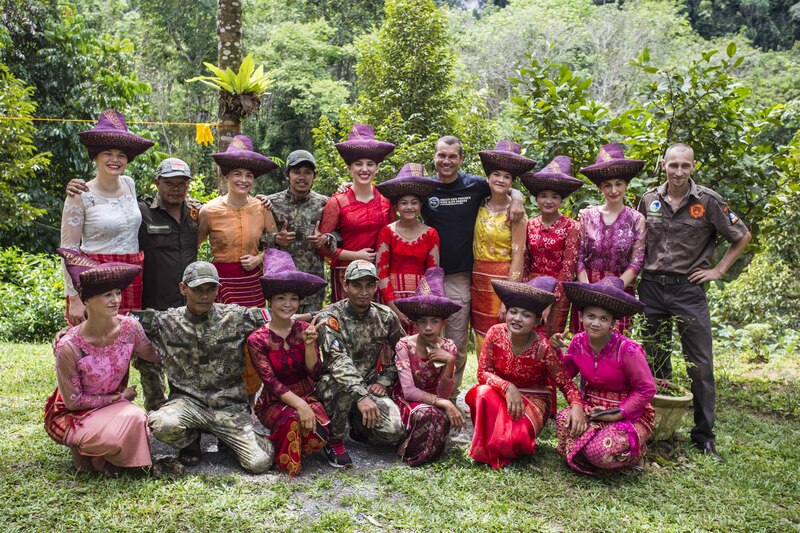 This was such of the first event with IRF promotion and the worship of the deceased Rangers in their service in Indonesia. Honor of their memory and deep respect to all those who risk their lives in the service of the Earth!